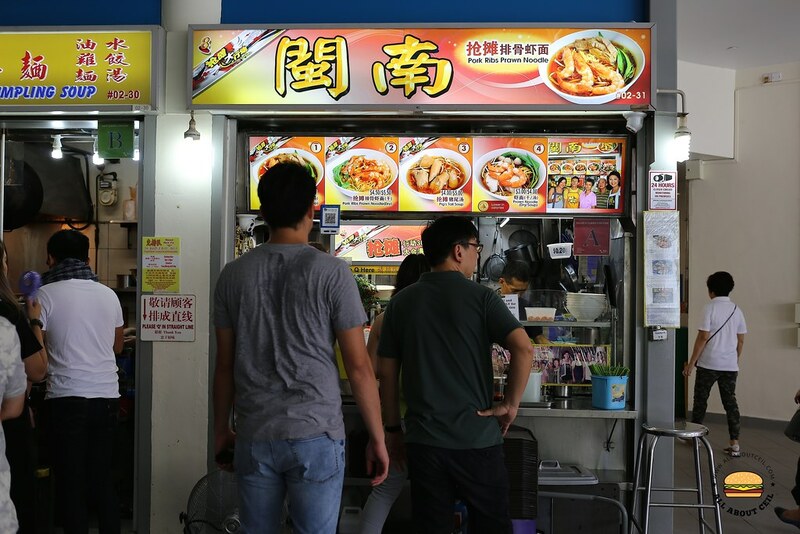 This stall has been in this food centre for a long while and when Ah Leng, the owner, took over from his father, the business was declining. He participated in the "Buzzing Hawker" (抢摊大行动) series that was aired on Channel 8 years ago. A mentor chef was assigned to help the stall that eventually revived their business and it has been doing well since then. Apparently, most of those stalls that participated in that TV show were already closed and this stall is likely to be the only surviving one. There is usually a queue during lunch. 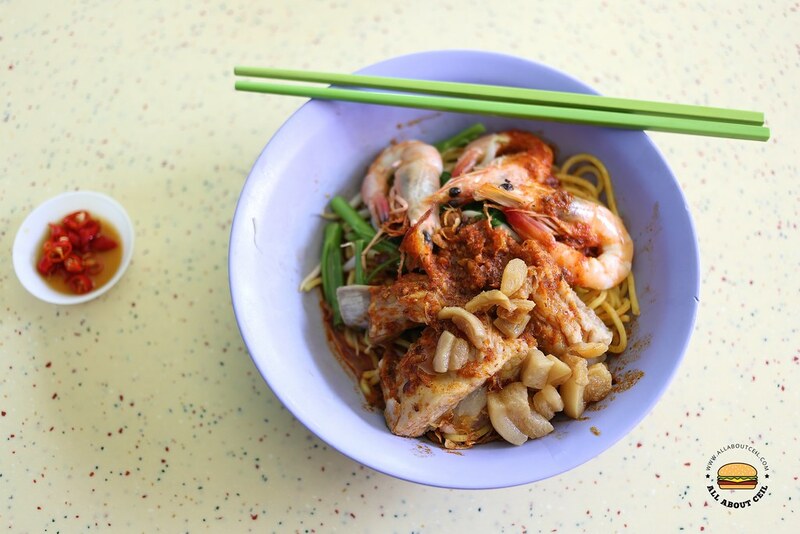 They serve Prawn Noodle ($3.00/$4.00), Pork Ribs Prawn Noodle ($4.50/$5.50) and Pig Tail Soup ($4.00/$5.00). I have been patronizing on quite a regular basis and their standard has been consistent so far. There was still a few people in the queue after 2 pm on a weekday. I waited for a few minutes before ordering and I decided to go with the bigger portion of Pork Ribs Prawn Noodle. 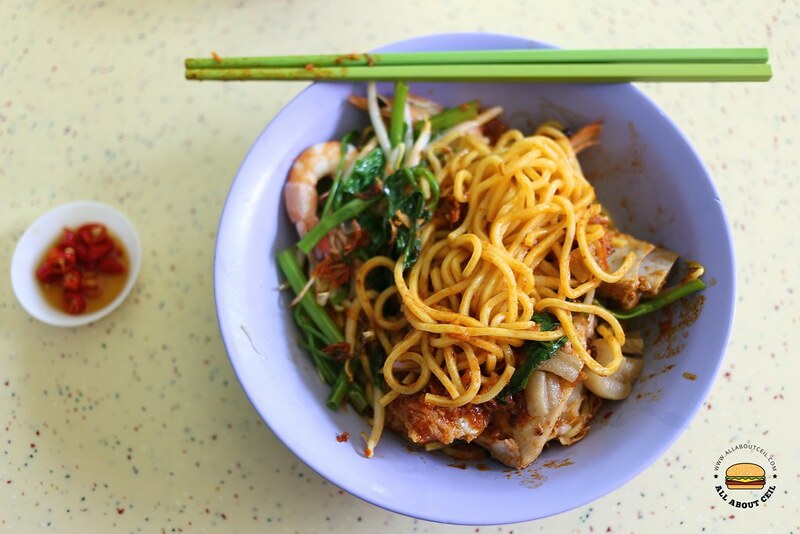 It consists of a good portion of noodles with 3 pieces of prawns as well as pork ribs together with a handful of Kang Kong and bean sprouts then garnished with crispy fried lard. I will usually request for an extra amount to be added and the friendly owner usually obliged. 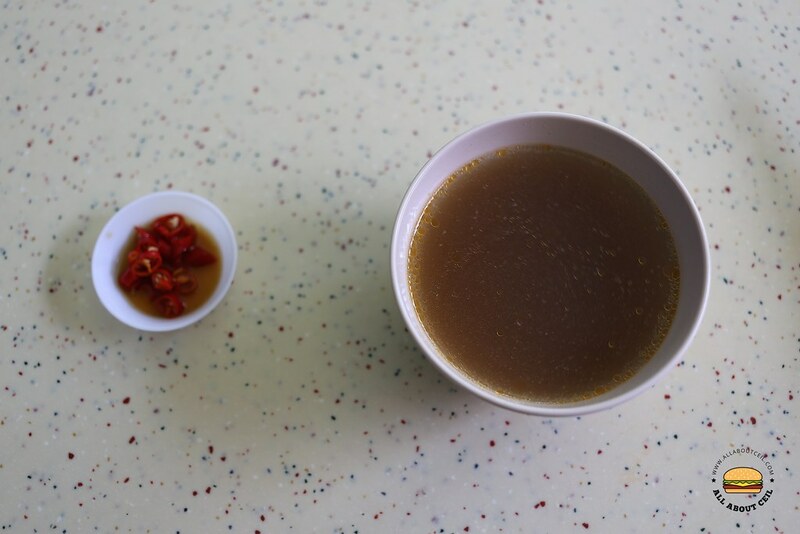 It was served along with a bowl of tasty soup that has a concentrated flavor of prawn. I was amazed that the prawns were de-shelled, left with just the head and the tail parts. Most stalls would not be bothered to do it as it can be quite laborious and definitely time-consuming. The pork ribs were also nicely cooked to the desired tenderness. While eating, one of the elderly aunties sharing the table asked, "This looks really good. Which stall did you order it from?" I pointed to the corner and said, "That one, right at the corner". It is not the taste of the noodles but the politeness of the owner that has actually left an impression. He actually made an effort to say "Thank You". That might be one of the likely reasons to keep his customers return.